The United States is divided about the death penalty—17 states have banned it, while the remaining states have not. From wrongful convictions to botched executions, capital punishment is fraught with controversy. 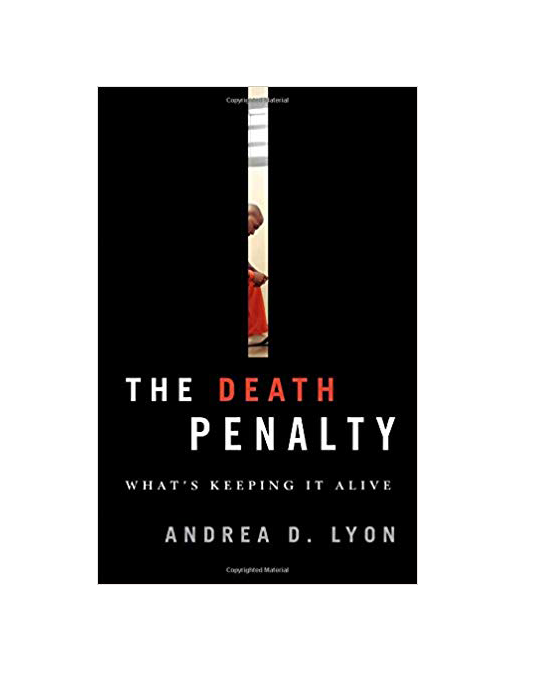 In The Death Penalty: What’s Keeping It Alive, award-winning criminal defense attorney Andrea Lyon turns a critical eye towards the reasons why the death penalty remains active in most states, in spite of well-documented flaws in the justice system. The book opens with an overview of the history of the death penalty in America, then digs into the reasons capital punishment is a fixture in the justice system of most states. The author argues that religious and moral convictions play a role, as does media coverage of crime and punishment. Politics, however, plays the biggest role, according to the author, with no one wanting to look soft on crime. The death penalty remains a deadly political tool in most of the United States.